Boom or bust? Dubai's chefpreneurs tell their inside stories 1 week ago Sudeshna Ghosh explores the (often tough) back-stories of Dubaiâ€™s new breed of chefs turned restaurateurs, who took the plunge to swap foie gras for finance and plating with permits. 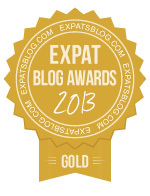 ExpatsBlog.com Expat Blog Awards 2013: United Arab Emirates Gold Award! This blog won the Gold Award for best expat blog in United Arab Emirates! 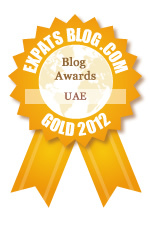 ExpatsBlog.com Expat Blog Awards 2012: United Arab Emirates Gold Award! Foodiva has an incredible palate for all foodie things nice, and an impeccably impartial way of sharing it. What is so good is that the reviews are very objective and 'tell things as they are'. This makes them very reliable, which is worth its weight in gold. Fantastic blog, always up to date and very accurate! Completely impartial and very honest. I would trust its reviews before going to a restaurant. Objective, reliable and fun reviews written in a professional manner. excellent what more is there to say . Very objective and very helpful reviews. A must!!! Excellent blog and always enticingly reliable! I believe that this blog has exactly what it takes to win your Expats in United Emirates Blog Award. Always the first to learn of new restaurants FooDiva is a trusted source for honest reviews of dining outlets in the UAE. A great blog, will favourite and revisit next time I'm on my way east! Great blog, well presented, Foodiva gives you all the information you want for dining - well done ! I wouldn't dream of dining out in a Foo- free zone! Fantastic blog, please keep the good work. Fantastic blog, please keep up the good work. Foodiva best foodie in Dubai!!! Honest, objective, impartial and a pleasure to read. At last a blogger from a top class industry background giving fair, balanced and impartial feedback from a professionals perspective.A blog that is going from strength to strength and appealing to a growing audience seeking honest, constructive and helpful reviewing. Will certainly make use of the fab reviews at new destinations (while traveling)! Great blog featuring impartial reviews. FooDiva definitively knows what she is talking about. I follow FoodDiva on Twitter. Refreshing approach to Blog writing. Keeping it fresh & current. Looking forward to many more posts. Keep it up Sam..
A fantastic blog with genuine comments! A must to read. Have a great read with FooDiva. Excellent Blog, nice to read! Foodiva is becoming the Wikipedia of dining in Dubai - the reviews are honest and accurate, which is what a diner needs in order to choose the right restaurant for the occasion. It is good that some people say the truth. Fantastic and honest reviews. A great impartial recommendation! FooDiva's reviews are interesting, objective and relevant. Constantly great work, an unending professional approach combined with a passion for food, and not afraid to say if the experience was not perfect. The reviews give you all the information (and more) that a friend would provide on their personal experience at a restaurant. I can attest to the accuracy and thoughtfulness that goes into each review as I attended a meal with FooDiva that was subsequently reviewed, and my feedback and that of my daughter were requested by FooDiva, listened to carefully and included in the review. FooDiva is not only interested in her own opinion but aims to notice and pick up the points that are relevant to a wider audience. Who wouldn't want to read FooDiva's reviews before eating out? FooDiva's comments and opinions are always interesting, frequently amusing and invariably knowledgeable. There is a superfluity of food related Web sites and blogs out there, but FooDiva is one I always find time for. It's a great blog! Amazing!!!! Truly deserves 5 star rating. FooDiva reviewed our signature restaurant over a year ago, and we have appreciated her voice ever since! She brings along expertise in the industry from both the PR and media side, as well (and most importantly) with a deep understanding of restaurant operations. She is on the top of our list of invites whenever we launch new menus or experiences because of her unwavering commitment to excellence and honesty. Always appreciate your objective and impartial reviews. Excellent impartial reviews. Keep up this exceptional level. Excellent very impartial and objective reviews.... you can trust them ! Spot on - fearless foodie journalism.... much needed in our self-congratulatory city. Fabulous! Stylish, honest and full of integrity. Always enjoy reading Sam's blog about what's new in the Dubai food scene. I am very sorry that a rude and low rated Italian chef (the restaurant is known only for the AC Milan football players frequenting it after the game) put the Italian cuisine in such a very bad image. Don't worry Samantha, he is nothing.......and being Italian I can confirm it. Food Diva is a brilliant blog written by one of the most respected food bloggers in the MENA region! A vote of confidence to foodiva from the industry. i represent two of the top hotels and respect this writer very much. impartial and factual. wish more were like her. Foodiva has a perfect understanding to each and every customer's unique needs, a blog that indeed has inspired me with competence and objectivity. As member of "confrerie de la chaine des Rotisseur", I invite food audience seeking candid and helpful reviews to visit THIS blog. For those visiting Dubai (and other places mentioned) this is a reliable and objective food/restaurant blog. This is reading through High Life Dubai gastronomical series. FooDiva's reviews are articulate, precise and as she claims 'impartial'. If I have to go to a fine-dining restaurant I will trust FooDiva's reviews before splurging! Simplement fantastique! I regularly follow FooDiva's reviews. Dining in the restaurants she recommends, I can vouch for her constructive feedback given that my dining experiences often mimic hers. I always look forward to the next review. The only serious blog for'foodies' to find out whats interesting and new, whats good, where to eat and whats happening across Dubai! Fantastic blog! always accurate and completely unbiased! Definitely a key expat essential website to use! Excellent reviews and very useful..
Bravo Samantha.Keep working hard. You did a gread job. Excellent impartial and reliable reviews. Keep up the good work. I visit Dubai alot and and just been introduced to the amazing restaurant blog foodiva and wish I had known about it before. I will be back in Dubai in the next few weeks and will definately check in with foodiva before I eat anywhere. Brilliant. Awesome blog, with so many fresh and â€œnon preachyâ€� reviews! I will visit regularly to keep informed. Informative, entertaining and factual. Well done. Excellent, extremely reliable, quite informative blog! Love FooDiva! A fantastic and informative blog where the information is purely impartial and her opinion is not 'bought' in anyway - It's always refreshing to get honest feedback! Excellent Blog. Use it all the time when travelling and need a good place to meet with our associates. Highly recommended!!! All necessary info is there, well done. Now this is practical a must for all!!!!! Being a food lover and resident of Dubai i look forward to Foodiva's reviews and comments on the dining experience in the emirates. Always spot on and well presented. 5 star rating! I am a real foodie but am spoiled for choice in Dubai and never know where to go, so Foodiva is my go to site and it never leaves me down. I now follow the recomedations on the site religously. What made me a follower from the beginning was the impartiality, its so lacking on other sites. Also the writing is so good and makes me wander around the site even more that I had intended in the first place. I always count on Foodiva reviews when I want to choose a restaurant as I know they are impartial and honest. Great addition to Dubai's blog scene! Well done! Excellent and honest reviews written with such wit! I thoroughly enjoy reading about new and old venues in Dubai. Well done FooDiva! All you need to know about where to go in Dubai. How can anyone go wrong when there is FooDiva! Very useful and reliable information carefully collected! Congratulations ! Informative, factual and entertaining, the best foodie blog in Dubai by far!! I consider Foodiva the last word on cuisine. To date it has never failed me and has let me to places that I would never have found on my own. I cannot recommend it highly enough! Superb site, good information and reliable too. Cannot go wrong. Foodiva is my first stop for anything 'foody''in Dubai. How did I ever survive eating out in Dubai without it. Thank you Samantha! Having been in Dubai a few years ago I am really looking forward to the next opportunity. It is a great to visit and very gastronomic. I wish you all the best. Being lovers of good food your articles are always interesting to read and fairly presented. Impartial, informative and extremely well-written. FooDiva's professional approach to food-blogging makes her posts a delight to read. Her beautiful use of grammar (often lacking in other blogs) and language delivers a friendly warmth to her posts. Even for those of us not living in Dubai, a fab read and the fact that she sometimes travels and blogs about restaurants abroad is an added bonus! A brilliant blog that would be five stars in any gourmet destination of the world. Especially in Dubai with so many choices and new openings, I make sure to check Foodiva before booking a dinner. This quality Blog in Dubai FooDiva is my best friend today and forever. Foodiva is the most amazing and informative food blog I have read. I always look forward to what exciting restaurant's and menu's there are to discover in Dubaii , by following Foodiva ! I have used Foodiva on multiple occasions and have always found the reviews to be accurate and engaging. An excellant choice if you need to find somewhere to eat that caters (excuse the pun) for all needs. Amazing!!!! Truly deserves 5 star rating.i love it.cheers......!!!!! it was a so amazing and fantastic & Objective, reliable and fun reviews written in a professional manner. A blog that is always impartial by a person who understand food, and the finer aspects of hospitality. Always a fun and informative read and highly recommended. Usefull and quality reviews. Hopefully it will help to improve the restaurant quality standard and a higher value for money experience for those living in and those visiting Dubai! FooDiva tells it like it is and has a great time while doing it, which is what makes the blog so great to read. Am using this amazing blog to plan my dining in my forthcoming visit - can't wait. Not yet been to Dubai, but read and heard a lot about Food diva and this will absolutely be my "compass" when there , keep the good job up"
Dubai is an exciting place and very challenging since there is the best of everything and especially when it comes to food, quality and choice is at the highest level. Foodiva's reviews are honest , impartial and give a clear account to the reader without a doubt. I will certainly ready foodiva's review during my next visit to Dubai before booking a restaurant. Very well done and congratulations for your success. FooDiva really knows the food and hospitality business. The recommendations and objective,insightful reviews are appeciated by city visitors and locals alike. I have never come across anyone who has such an eye for excellence and their finger on the pulse of all that is going on. A 'must read' blog. Foodiva a fantastic blog from a real food lover to the eclectic culinary audience. In a cosmopolitan city where many restaurants take for granted the high rent they pay to be in prime location, some of them forgot what is a genuine cuisine and to please their customers. FooDiva is an excellent way to avoid being upset while having a meal and get value to what you are paying for. As a regular business visitor to Dubai, I really rely on FoodDiva to help advise me of the best place to go, depending on the mood that I'm in and the client that I'm meeting. I can always trust the reviews, unlike many other sites of blogs, and really appreciate the detail of the reviews too. I still can't believe that it's a free service as I pay concierge services in other regions for a lot less. Keep up the great work please. Excellent reviews. Very professional. I use Foodiva all the time when planning my dinners. Keep it up. Delicious, delightful, do read and digest! My favourite Dubai concierge, Samantha has the pulse on the latest places to dine and an unherring eye for quality and value. Her blog is always entertaining and herself of course delightful. Great reviews and articles about the hotest places. I find the reviews insightful and helpful. Informative without going over the top and in my experience totally spot on! Being an ex-hotelier and an absolute food lover, I rely on FooDiva to keep up to date with the ever changing food scene in Dubai. I particularly love the honesty, the impartiality and the fresh style of writing and sharing her experiences. Hats off and keep it up! Great Blog particularly when flying through Dubai with no time to experiment and take risks! Excellent blog - always my first port of call. Very intelligent reviews! No one thing to do before going to Dubai for sure. Absolutely brilliant, thanks so much for this! Foodiva is to Dubai gastronomy as Burj is to its skyline. Top quality content and look! I come to Dubai regularly and for the past 18 months I have always used FooDiva to get the low down on the latest restaurants - my Dubai contacts are surprised at my knowledge of the restaurant scene. Thank you FooDiva. Great reviews, informative and straight to the point. FooDiva is now setting standards on food critics - Bravo & well done! Thanks foodiva..keep up the amazing work. Excellent resource. Always handy during my trips to Dubai. The honest reviews save us from the dilemma in a city that thrives on hotels and restaurants with international cuisines. Excellent blog. I like that it covers so much about Dubai. Dubai is a paradise for international cuisines. Blog helps us set the tone for the weekend. Apart from her professionalism, what I admire about FooDiva is the integrity of her character. Bravo to Samantha. Thorough research, good diverse sample of restaurants, bars and dining places. Also refreshingly objective on the experiences. On my visits to Dubai I really rely on FoodDiva to help advice me for the best place to go. The reviews are trustful and accurate, full of professionalism and honesty. Top quality content and look! Keep up the excellent work! A fantastic blog with authentic comments! Quite impressed with the reviews with valuable insight. Trustworthy, conclusive and very objective. Challenging reviews - well done! Terrific blog - always a great read! Foodiva's reviews are great, used it during my last trip to Dubai, the results were excellent. quality blog with exciting and interesting reviews. always a treat to read and get information from. please keep it up! Foodiva is a hard working lady, a professional in every way and above all reliable and trustworthy. She is doing a fantastic job for the restaurant business in Dubai. Congrats!!!! Amazing insights and great recommendations. Keep the reviews coming! Excellent stuff, carefully reviewed and objective - keep it up! Foodiva...a name by it self!! !Very accurate reviews ,honest, not bias and always on time and with information that someone can rely on it. Highly recommended to any expat!!! clear concise and impartial and thats difficult to find these days!! Foodiva- don't leave home without checking it out for the best restaurants in town. Excellent blog with very useful and objective information! Wish Samantha did one for Cyprus as well! An impartial, informative and professional blog. Excellent work Samantha. Keep it up! I have found Foodiva's reviews excellent. As a frequent visitor to Dubai, they are a valuable insight into what is avaialable in the City and surrounding are. Certainly takes an awful lot of the uncertainty out of eating out there. Balanced and interesting reviews that help! Good luck and a lot more amazing links! A five-star rating to a five-star reliable and impartial blog. FooDiva-an essential platform to discover culinary delights and places to go in Dubai. Well done Samantha! definitely the best blog in Dubai! Excellent idea....This is great for food lovers. Its great to get information for restaurants. Whatever FooDiva is doing, she is always aiming to achieve the highest standards possible. One of her characteristics seems to be devotion to whatever she undertakes! Great blog....keep up the excellent reviews!! The Dubai restaurant scene is constantly evolving and unlike other blogs, foodiva adds valuable and accurate information. Thank you! Impartial, informative and interesting - I follow foodiva avidly to keep up to date with what's going on. The only blog I've ever followed. This blog is amazing! I love it! It is superb. What a fantastic resource for choosing an eating place in a country like Dubai where you are spoilt for choice! Brilliant! When in Dubai, I always refer to foodiva and I have never been disappointed - keep up the great work !! Great blog for informative and trustworthy reviews and a site I ALWAYS visit before dining out in Dubai! Informative, balanced and interesting reviews that I often refer to when looking for a new place to try or just want to catch up on what's new in the local foodie scene. This is the only food blog I read in Dubai. It's objective, informative and very reliable because she is extremely knowledgable about food and how it should be cooked and served. She also writes very well. Excellent information source for enjoying the best food of Dubai. Please review Buddha Bar in Grosvenor House and let us know your review about it ! Excellent and informative reviews. Just what is needed. Thank you and keep it up! Very honest! Trust it all the way..
Best foodie blog I've ever seen! great comments and fun reading! I discovered FooDiva when one of her popular posts went viral! As I visit Dubai regularly, I am now a vivid reader of her blog as I appreciate her informative and entertaining way of writing. Very honest and trustworthy reviews. Bravo Samantha! A great resource to read and know about. Always up to the point and impartial reviews. Keep up with the good work! Excellent blog, Samantha goes above and beyond in her reviews. Must admit that I do not read or visit many blogs, but FooDiva must not be missed when it comes to true restaurant reviews...among others I liked to see recipes shared on this blog from top chefs....Cheers! Very detailed review as always - keep up the good work! every line of the foodiva blog is intersting reading. just excellent, entertaining and - so true!! Very helpful Blog with excellent reviews! Makes me want to pack my bags and head for the UAE, compleate with a hearty appetite! Foodiva rocks! Clean presentation, informative, and warmly interactive. goog blog. It is important having this aid y can trust.$Keep on going.good job! As a hotelier, I like to congratulate FooDiva for the most interesting and objective restaurants reviews which is a guide to me on my visits to the UAE. Having lived in Dubai for a very long time I have found the Foodiva reviews to be very useful for judging how restaurants are living upto the hype that surrounds them when they open. Foodiva is the bet restaurant guide in Dubai - better than any concierge as it is unbiased. Excellent, objective, helpful and accurate reviews.Fantastic blog!!Bravo!! Great read FooDiva,Love the write up on Chef Nobu, I think awesome that you're getting to the heart of the food (the chef/kitchen) and then evaluating, You have inspired me to visit Nobu!!! Great objective reviews with valuable insight and useful guidance for novice visitors to a city that is always changing. Very useful for all food lovers. Thank you Foodiva! Foodiva's review writing is always relevant. I have used her recommendations each time I visit Dubai with great success. Go Foo Diva! Fantastic!!! Keep up the good work. I am not the easiest person to feed (fussy eater! ), but i can always find great advice here ! FooDiva is in a league of its own. The reviews are anonymous and as objective as possible. They are focused on the product and its value for a joyfull dining experience. Its very informative as well as reliable and fun to the reader. I would trust its reviews before going to a restaurant. C 2 believe!!! Foodiva is a Great blog for food lovers :) Highly recommended!!! Foodiva's reviews are objective and reliable written always in a professional manner. I travel the world and always go by recommendations as to which restaurants to entertain my clients. FoodDiva is my bible in selecting the best restaurants that Dubai has to offer. Well done FoodDiva! As food dining blog's go Foodiva's is a work of Art within a United Arab Emirates masterpiece. thank you for the excellent and dependable reviews.. Excellent, as a Hotelier I would like to congratulate Foodiva for being so objective and useful. Exciting stuff, very well written and wonderfully presented. Excellent blog. So much variety and great impartial advice. Although I live in Monte Carlo I visit Dubai regularly and find the selection of excellent restaurants incredible - I use Foodiva to help me select my dining choices - and I am not disappointed with my dining experience. What I like about Foodiva is that she is not afraid to express her sincere and objective opinions. Keep it this way. Bonne chance! Just amazing, truly excellent blog!!! Marvellous blog. I wish I would have known about it the last time I was in DubaÃ¯. Kep on with the good work. Foodiva's background in the hospitality and PR business is reflected in the well written restaurant reviews. What I like about Foodiva is that it is not afraid to express true and objective points of view in order to be likeable. Truly excellent Foodiva. Keep writing these great reviews and you'll go a long way. All the best and good luck. Definatly clever and right on spot, everything you need to know about good taste. As a Hotel professional, I recommend to follow foodiva . It's great! Congratulations!! Excellent Blog! Very useful for all food lovers! Fantastic blog, best in Dubai. Keep up the great work. As an Egyptian visiting Dubai regularly i find Foodiva's reviews excellent and extremely helpful. Thank you Foodiva. A Blog with Integrity! Its difficult to trust blogs theses days. This one has an excellent pedigree! great blog......its interesting to read and very informative....although not sure i want to be sitting and dining with you!!! Why pay for "mystery guests" when you have such good and reliable restaurant reviewers like Foodiva. An excellent and reliable blog for food lovers and "Bon Viveurs". Very Objective and accurate. I enjoy FooDiva's restaurant reviews but what I also like reading are her food/ travel features in the Gourmet magazine and the National. Best food blog by far! just a perfect blog. keep going! Just the best food blog ever! Keep on the good work. I am very impressed by the way it is written and presented. Excellent blog! Excellent blog. Keep up the good work!!!! I love Foodiva! It's as insightful as it is intelligent. Honest reviews, tempting recipes and lots of other little tips and things to keep a foodlover entertained. Thumbs up on the travelling reviews too, bravo! Great blog! Very frank, intersting to read. Really makes you want to go out and eat! Great site, with impartial and entertaining reviews. Keep up the good work! FooDiva blog is very good tool to look at how the F&B industry is evolving in the UAE... Very objective and to the point reviews that we desperately need! Love the site: fun to read and objective. Keep up the good work! Foodiva as usual offers the best insights on gastronomy. Foodiva is the best food blog ever! Just discovered this wonderful blog! Keep up the good work, Foodiva! Love this blog. Always useful and inspires new experiences. FooDiva is credible and most useful. Excellent. Excellent blog especially as for the Italian speicalities!! Thank you for the helpful advices. Bonne continuation! Excellent site, informative and very well written reviews! The best blog I know on the subject: objective, reliable and always funny. Keep up de Good work; I am a big fan! Excellent blog. Keep it up. My first port of call for deciding on restaurants in Dubai. I am a frequent traveler to Dubai before I go I always check the latest food scene on Fooddiva not to miss that one great place that's hard to find for expats, Foodiva is truly a excellent blog and a reliable fun writer. We do love your latest post on bloggers. FooDiva has differentiated herself from the other bloggers with a variety of subjects.... We do love her competitions and celebrity chefs' interviews.!!! FooDiva never bores us! The best restaurant review blog in Dubai. FooDiva wears many hats: food blogger, PR consultant/ trainer, journalist. She followed her passion and this admirable. Good luck Foodiva! FooDiva loves what she is doing and she is working hard tto reach her goals always with integrity and professionalism; this is why we love and support her! Great blog, which remains objective in its reviews. Not something easy to maintain, once you start to get known in the local food scene. And entertainig to read. Keep up the good work. informative and very well written reviews! This restaurent is really amazing. It's feature is very beautiful. Hoping long destination.